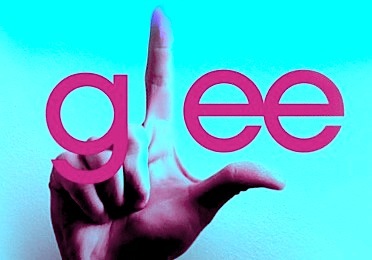 So after a month of waiting Glee has returned! Unfortunately the show’s return was far from triumphant for me. The plot seemed so incredibly thin and to be honest a little annoying. The introduction of ‘The Braniacs’ was unfathomably dumb. Artie, Tina, Mike and Brittany as an academic team? Really? Oh and the show they go on is called ‘The Smartypants Show’? My eyes were rolling so much I got a bit dizzy for a second. Then there was the ‘League of Doom’ sub-plot. I really like the idea behind it; it had the potential to be so funny and entertaining. The introductory segment where Sue explains her motives and goals was mostly pretty good. Although, is it just me or is the whole ‘Sue flipping between being best buds with Will, to hating Will, to being best buds with Will again, to oh look she hates Will again’ getting a little old. The rest of the encounters between Sue and her henchmen were actually hilarious – Sue had some very good lines this episode. Dustin was so sleazy and gross, oh and unbelievably funny. Sandy unfortunately lacked a little something like, I don’t know, a three dimensional personality. On that note I want to say that I really love Gwyneth Paltrow as Holly Holiday but she was just not right this episode. Her story was nowhere near as interesting as I thought it would be. She introduces the concept of the ‘Night of Neglect’ which I thought was pretty stupid, and she had hardly any memorable lines. She did, however, perform an amazing cover of Adele’s ‘Turning Tables’. The return of Charice as Sunshine was as disappointing as the episode as a whole. It made very little sense to me, and the song she sang was good but not great. She pops up for a performance and then disappears again, taking her 600 twitter followers with her. I really don’t have much to say about Mercedes’ diva plotline except that it was unbelievably pathetic. I loved Lauren’s part in it, mostly because I find her character so entertaining, but overall it was annoying. I was so glad to hear that the sham of a marriage between Emma and Carl is finally done. And the scene between Emma and Will in the teacher’s lounge was so sweet. There was nice bit of foreshadowing with Kurt, when he fondly shows Blaine around his old school. I think it’s safe to assume he’ll be back at McKinley soon. This little walk lead to yet another run in with closet case Karofsky for Kurt. However, it was Santana to the rescue. I must say I am LOVING Santana more and more every week I see her. And the way she took down Karofsky had me smiling from ear to ear. Onto the Night of Neglect itself, and might I just point out how unbelievably unrealistic it is that only Blaine and Kurt would show up to support the New Directions. What about Bieste, or Emma, or any of the kids parents? You’d think I’d stop being surprised at the number of plot holes the Glee writing team leave gaping in clear view, but it still shocks me from time to time. I did not appreciate the hecklers ruining what looked like the beginnings of the rare good performance from Tina. I love Lykkie Li, the arrangement looked good and Tina’s voice was good. I personally was offended by little Becky having to hurl insults and mild profanities at anyone, it’s just so wrong. And, of course, this all lead to yet more bad acting from Jenna Ushkowitz. The dance number by Mike was really good and I love that song – I’d never heard it before and I downloaded it soon after. I have a feeling that the segment with Holly talking to the hecklers about cyber bullying was a direct dig at some of the less enthused Glee fans who have been harsh online. I won’t lie, I was sad to see Holly go. I knew Gwyneth wouldn’t be around very long because she’s a big movie star and not ready to settle down in TV land, but it still hurt. Thankfully the door was left open when Will asked if she’d come back and visit and she responded with her typical “I thought you’d never ask”. I got a little misty eyed I’m not entirely ashamed to say. And as sad as it is it does leave the door open for the long awaited Will and Emma relationship – but knowing Glee there will undoubtedly be an incredibly unrealistic break-in-continuity type obstacle come next week. The episode ends with Sandy funding the New Directions and the Braniacs in full; followed by Sue resting her hopes on the ‘shrew’ Terri. So on to the music. Here are my ratings. So what were your thoughts on “Night of Neglect”? Leave a comment or talk to me @CDWB on Twitter. ~ by CDWB on April 22, 2011. I wanted to thank you for this great read!! I absolutely enjoying every microscopic bit of it. I have you bookmarked to check out new stuff you post. I enjoy reading a post that makes habitancy think. Some undoubtedly excellent posts on this internet site , thanks for contribution. Also, thanks for allowing me to comment!